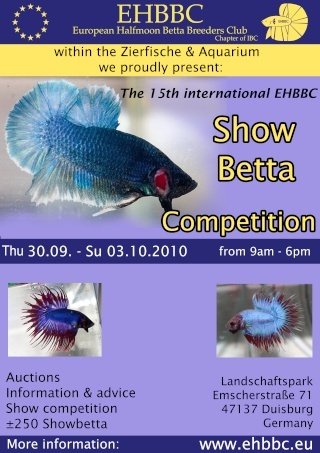 We are proud to announce our next show-betta competition in Duisburg, Germany 2010! During our show with Joep van Esch as our main judge, show betta splendens bred by many national and international breeders will be judged, shown at the EHBBC stand and auctioned. The fish at the 15th International EHBBC Show-Betta Competition will be judged by an experienced team of judges by a knock-out system according to the new Bettas4all standard. The Bettas4all standard is expected soon to be online. With daily auctions all visitors will have the chance to purchase many different betta of breeders quality. The winning fish of the competition will be available starting Saturday. At our stand the club members will be there to inform you about keeping, maintaining and breeding siamese fighting fish. Take the city train 903 starting at Duisburg main station or Dinslaken to the station „Landschaftspark“, from there walk into Emscherstraße (ca. 5 minutes), entry Emscherstraße. Exit the A42 at Duisburg-Neumühl, turn right into the B8, direction Obermeiderich, until Emscherstraße (please follow the signs “Landschaftspark”). Free parking available. The entry form is available to download below, please fill it out completely (except box numbers). All informations regarding entry fees for your fish, shipping adress etc. 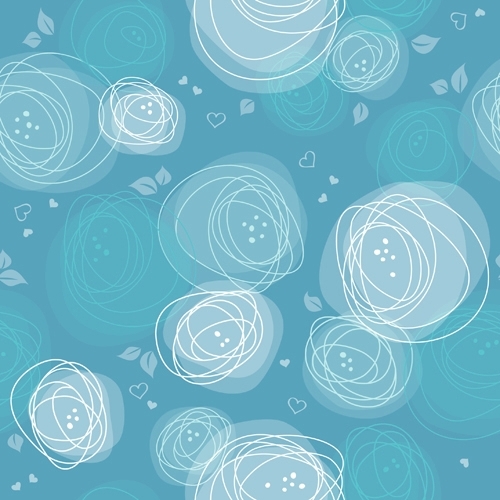 will be also there on the form. In case you want to sell extra fish in the auction and don’t want to enter them into the competition, please note that in the special section on the form. Auction profit splitting: 70% breeder and 30% EHBBC or 90% assistants and 10% EHBBC. In case you send fish the package has to contain the following: Fish (please make sure that color, fin form and class is written on the bag), copy of entry form, bags to return the fish, entry fees, postage rate and adress to return the fish and heat packs (if you want to have your fish returned). • If you chose to send your fish they have to arrive latest Sept. 24th 2010 (at: Bernd Roque y Montoya, Rosenweiher 1, 25548 Kellinghusen, Germany). Or you bring them in person the show on Wed. 29th, benching starts at 15:00 (until about 18:00). i don't think i can come due to my schedule, maybe next year ! if I understand correctly, you will be there :D - I am happy to see you there! Will you also register fish for the show? that is good for you, but a bit sad for us of course because you will not come to Duisburg because of this. Good luck with your lines!! Gilles said he would be there saturday and sunday. Gilles - totally looking forward to meet you!! j essaye d en faire mais la photo c est pas mon fort en plsu ils sont plutot nerveux . » Demande d'infos - peseux 260, chronométrie de compétition ..